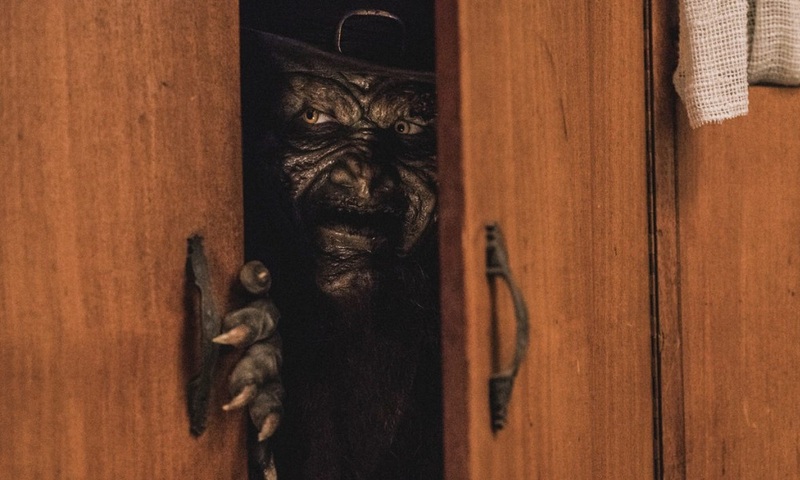 Lionsgate has just released the official trailer for Steven Kostanski’s Leprechaun Returns, a direct sequel to Mark Jones’s 1993 horror classic. Original franchise star Warwick Davis has been replaced by Linden Porco, who looks and sounds quite impressive in the role. You can check out the fun trailer below, along with a brand new poster via EW. The cast is led by Taylor Spreitler (Kevin Can Wait) as Lila, Pepi Sonuga (“Ash vs Evil Dead”) as Katie, Sai Bennett (Lake Placid: Legacy) as Rose, and Linden Porco as the leprechaun (replacing longtime star Warwick Davis). The film will also bring back a co-star from the original film in Mark Holton, who will reprise his role as Ozzie, the group’s goofball friend almost killed by the leprechaun all those years ago. Additional co-stars include Emily Reid as Meredith, Oliver Llewellyn-Jenkins as Matt, and Ben McGregor as Andy. 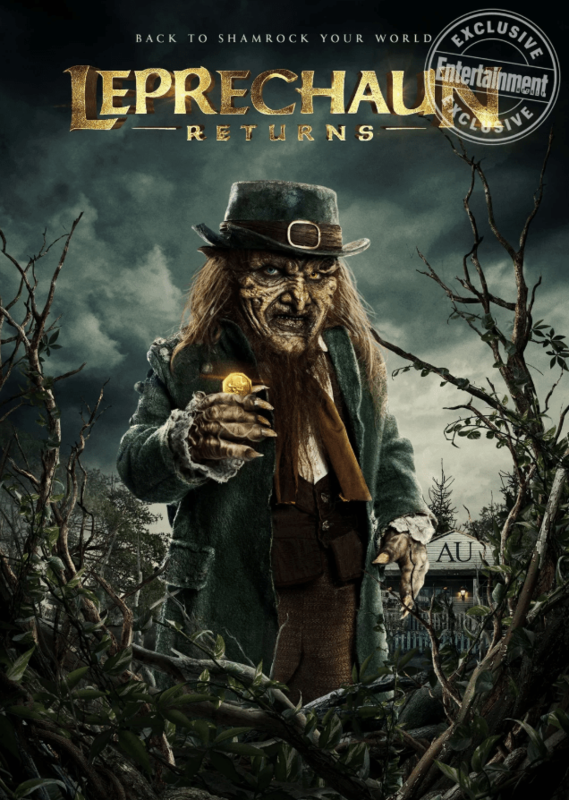 Leprechaun Returns comes to Digital and On Demand on December 11th, 2018.